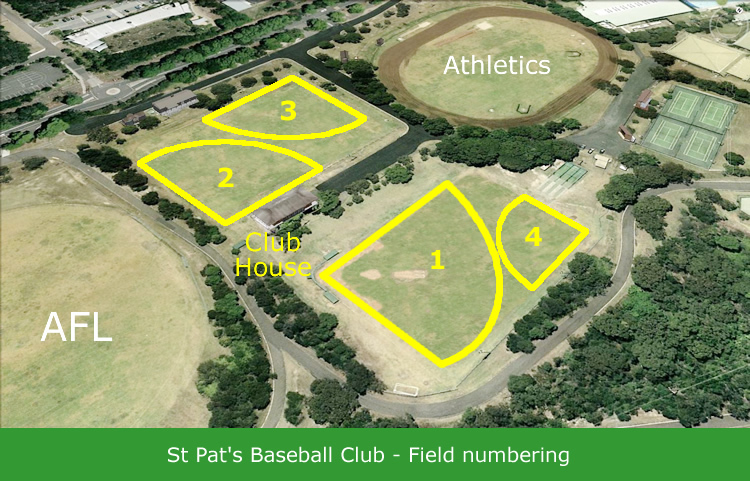 St Pats has 4 diamonds at Waratah Park. The main baseball diamond (No.1) is located on the bottom field. The clubhouse, including the canteen, is situated at the southern end of the main carpark.